too loose at the wrist. Uses it to clean my older dad. did not expect the durable quality of these gloves for the low price paid! will be ordering them again! Good Fit. Sturdy. Easy Storage. Lightweight. Safe. economical. My mother recently passed away but while here, I kept these gloves handy for health providers that helped me and used them myself. They are really very inexpensive and protect your hands when you are cleaning or doing any chore that is going to require hand washing afterwards. 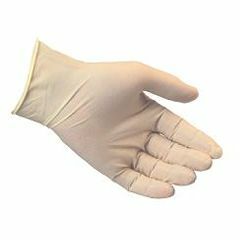 Before wearing these gloves, I had eczema and had to go to the dermatologist regularly for treatment. Once I learned to use these gloves before diving into any indoor or outdoor project, I have not had any eczema on my hands. Great product. Good Fit. Sturdy. Easy Storage. Lightweight. Safe. These gloves work fine for me in taking care of my husband who survived a stroke.